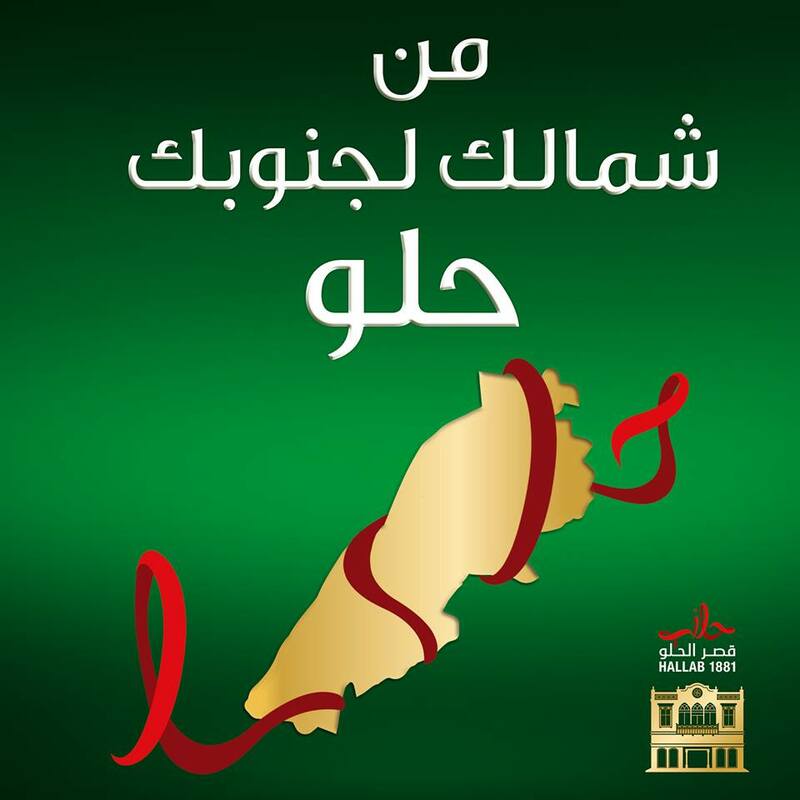 Helou means both "sweet" and "beautiful/handsome" so Hallab1881 dubbed "Kasr el Helou" (castle of sweet) plays the "from your north to your south you are handsome" for the Independence Day. 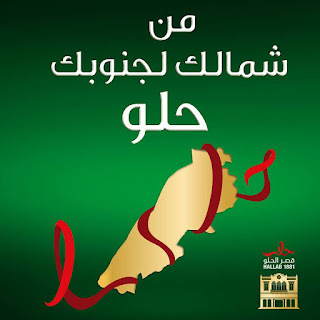 There is even a red ribbon which spells that word in Arabic engulfing the map of the country. Effort done!